Produce a stereo mix of one song by one artist from the list of 10 that meets the instrumental requirements listed below. Your choice of song must be taken from a commercial studio recording on which the artist is credited. Your Recording must demonstrate competencies in capture of sound and use of EQ, dynamic processing, effects, stereo, balance and blend. Your Recording must last between 2 and 2½ minutes. Use EQ that reflects contemporary standards of clarity. Editing of timing or pitch. Adapt the song to fade or finish after 2 and before 2½ minutes. You must not use looping techniques to construct tracks from short sections of audio or MIDI. However, it is acceptable to correct occasional performance mistakes using short sections of audio from elsewhere in the song. 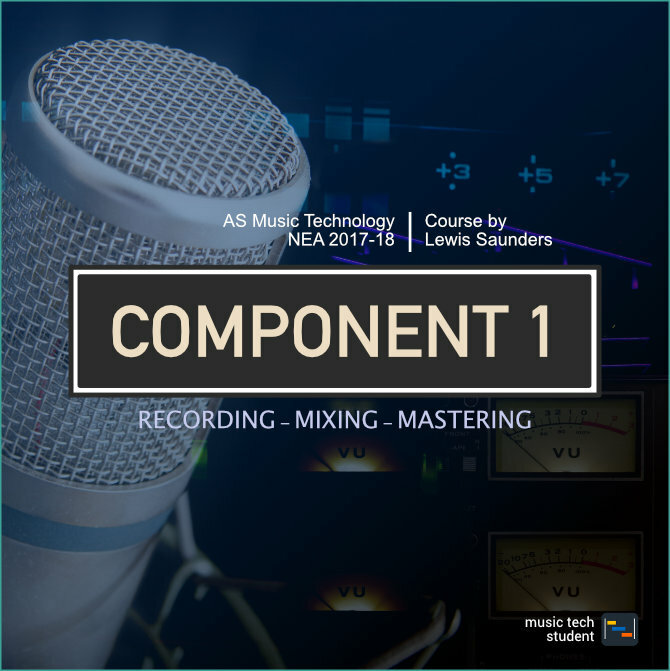 You must be in sole charge of the recording process from capture of audio to mixdown. Sharing of audio files between candidates is not permitted. 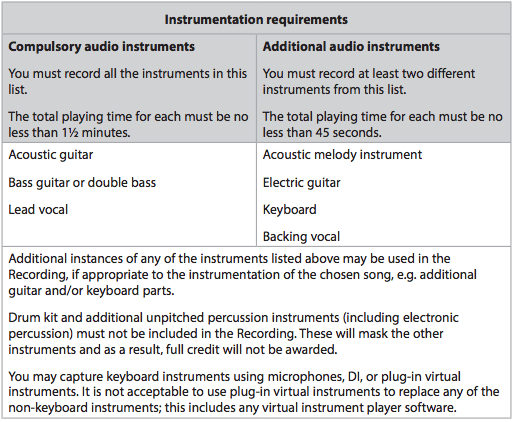 You must submit your Recording digitally in the format detailed in the administrative support guide, found on the Pearson website.